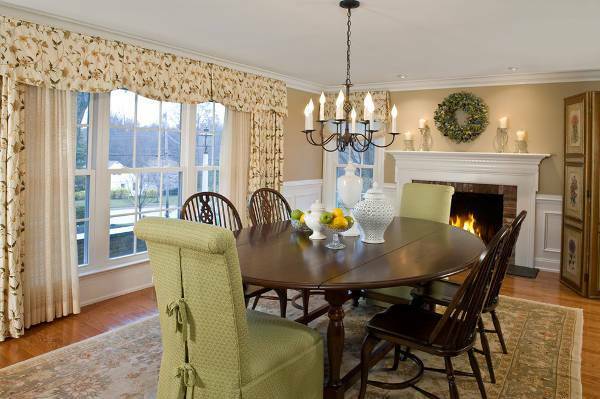 No home is complete without a well planned and designed dining room. 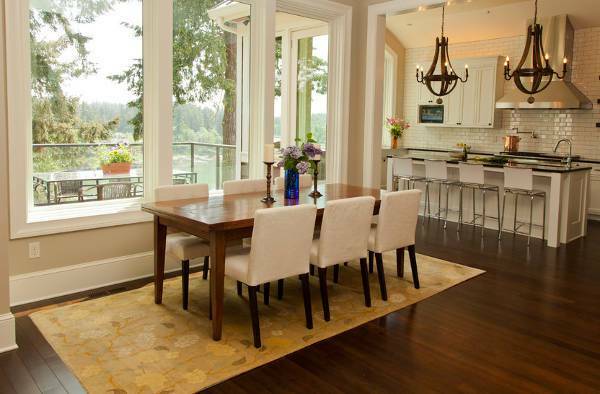 What makes a dining room special is a suitable dining table along with comfortable chairs. Comfortable seating does not mean you have to compromise on looks. There are countless dining chair designs which can enhance the beauty of your dining area and also serve the purpose well. Right from cushioned, colorful, winged back to rustic metal chairs, every design can change the look of your dining room drastically. A simple chair made out of dark wood with cushioned seats and pronounced stitches changes the look completely. Sleek wooden chair lined with thin leather adds to a sleek and modern look. Wooden dining chairs are classy and easy to maintain. If you have young kids at home then messy dining chairs is nothing new for you. With wooden chairs, you don’t have to think about dirty upholstery after dinner. Do not compromise on style. There are endless designs available, choose the one which matches your interiors the best. Metal chairs with faded paint are enough to add a rustic touch to your dining area. If complete metal does not match your style go for chairs with a balanced combination of wood and metal. 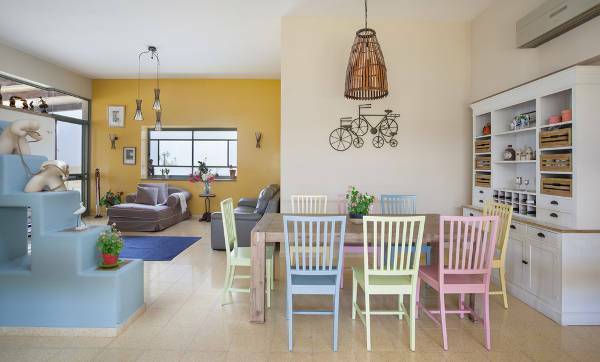 Wooden chairs with faded paint also add to the look amazingly. Wicker is a more traditional furniture style which can be used to add texture to your dining area. 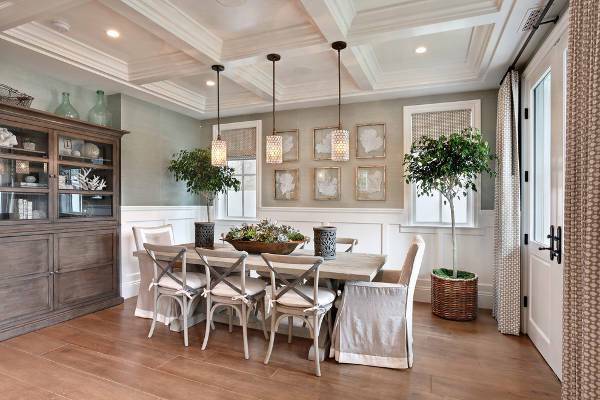 Replace a few bulky dining chairs with wicker chairs to make your dining space look lighter. Wicker chairs come in various designs right from traditional rounded backrest to straight back designs. Choose the pattern and color that suits your interiors. 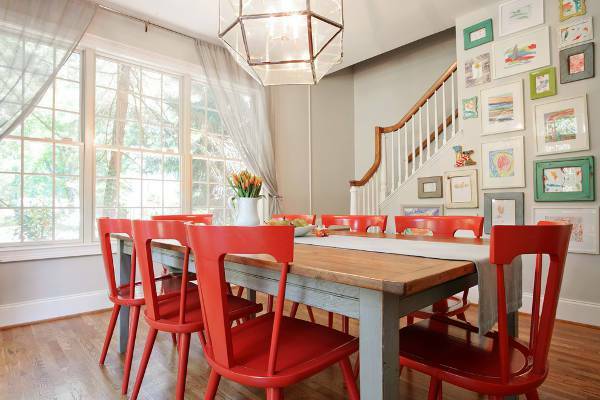 Add some color to your dining room with colorful dining chairs. It gives your dining room a more funky and young look. Moreover, if you have young kids at home it will look more inviting and interesting. You can use colorful cushions or painted backrests. Velvet translates to luxury. 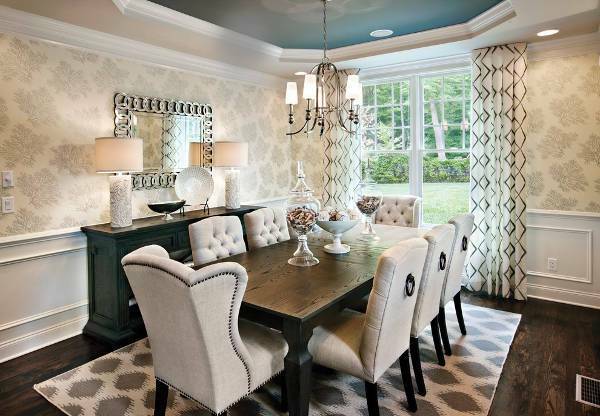 If you want to splurge on your dining area you can have velvet cushioned dining chairs in your dining area. If you just want to add a touch of velvet to your dining interiors then balance it with a wooden chair with velvet upholstery. You can also mix both. Wooden chairs look perfect in farmhouse dining area. Traditional cross back wooden chair with dull paint also looks beautiful. If you want to go a little bulky opt for cushioned wooden chairs with rounded backrest. Wicker chairs look the best in a country style dining set up. Use the pale white or gray to balance it with your light wood center table or go for deeper shades to compliment center table made in dark wood. Wooden chairs with faint paint and visible wood grains can also bring up the look. Wooden chairs with beautifully carved backrest and perfectly curved legs with a fine fabric used for upholstery define luxury. 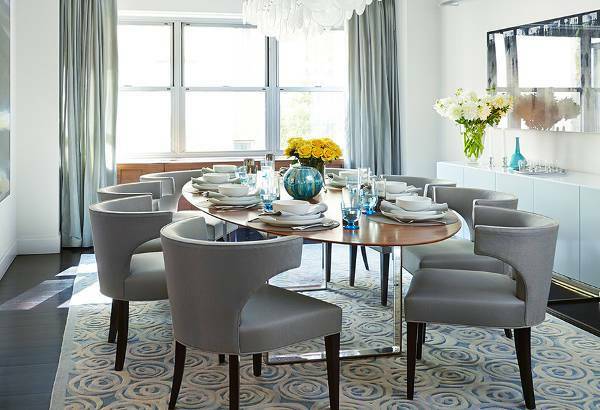 If that is not enough use one or two heavily cushioned button tufted chairs in your dining space. Cushioned leather chairs also make for a smart option. Traditional chairs with modern backrest designs made in oak gives you a classy dining room chair which is also durable. Oak is also used as framework for contemporary folding dining chairs as well because of its durability. Dining chairs do change the entire look of your dining space but you should keep your interiors in mind. 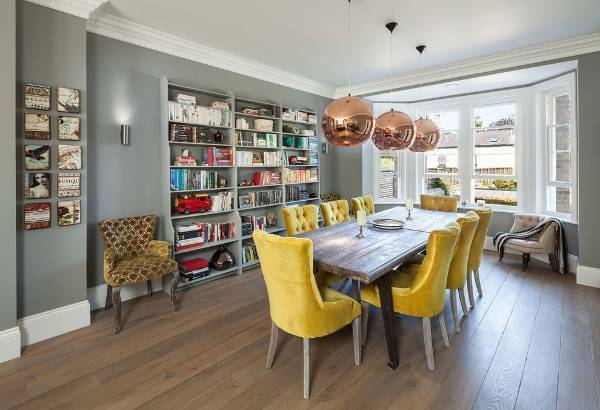 Dining chairs should compliment dining room designs. Dining chair with fine carvings on its backrest will look out of place in a contemporary dining area. 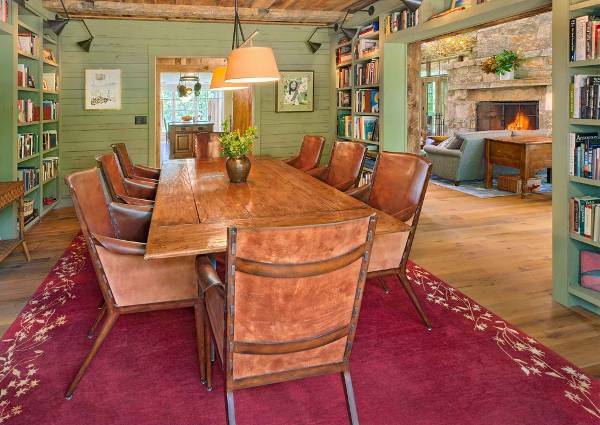 Similarly, a tufted leather chair would not look good in rustic interiors. Take simple dining tips from these dining chair options and remodel your dining space as per your liking.